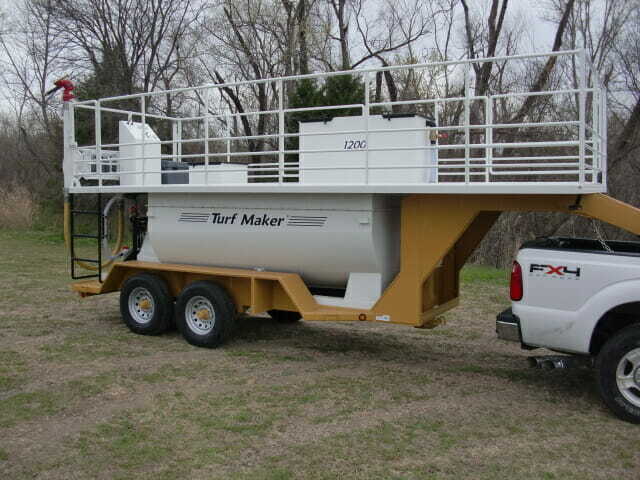 The TurfMaker® 1200 hydroseeder is ideal for Sod Quality Results™ applications. A quality minded contractor can apply wood fiber mulch at heavy rates, along with premium seed, tackifiers, fertilizer, and cover up to 7,500 – 10,000 sq ft. with a tank load. Jobs requiring near perfect results are made with hose applications and usually take about 45 minutes per tank load.